What’s In New Jersey Drinking Water? Families everywhere are not only looking for better tasting water, but also cleaner water that will ensure their family’s good health and safety. How much do you know about the water you and your family consume daily? Probably not as much as you think. The New Jersey EPHT program working with the New Jersey Department of Environmental protection has put together data on water quality for over 600 community water systems in New Jersey as well as on the water quality for many private wells. 85% of New Jersey’s drinking water is provided by community water systems. Waterways such as reservoir basins, wells, rivers, streams and lakes provide water to over 4 million people in New Jersey. Arsenic is a naturally occurring element in the earth’s crust and was used in the past as a pesticide. Arsenic has been classified as a known human carcinogen, based on human epidemiological data, and can cause other health effects. The elevated arsenic levels found in some groundwater sources in New Jersey is most likely caused by natural sources. Disinfection by-products (DBPs) are formed when disinfectants such as chlorine are used during water treatment to destroy harmful bacteria and viruses, react with natural organic matter in water. Nitrate may be found in drinking water as a result of the use of fertilizers on agricultural lands. Exposure to high levels of nitrate in drinking water may result in a condition, particularly in infants, in which the blood is unable to carry sufficient amounts of oxygen. For the full report visit the State of New Jersey Department of Health’s website. 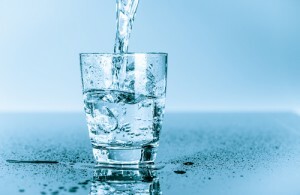 Although, the filtration and treatment facilities in New Jersey are purifying and filtering the water in the safest way possible having a water filtration system for your home is not a bad idea, you can be confident that you are doing everything you can to provide your family with safe water. At A.J. Perri we offer a five-stage whole house water purification and conditioning system. This five-stage system helps to remove pollutants, contaminants, odors, and suspends particles down to five microns in size. The final stage involves non-chemical inline water conditioner. To learn more about ensuring your home’s water is safe contact A.J Perri.